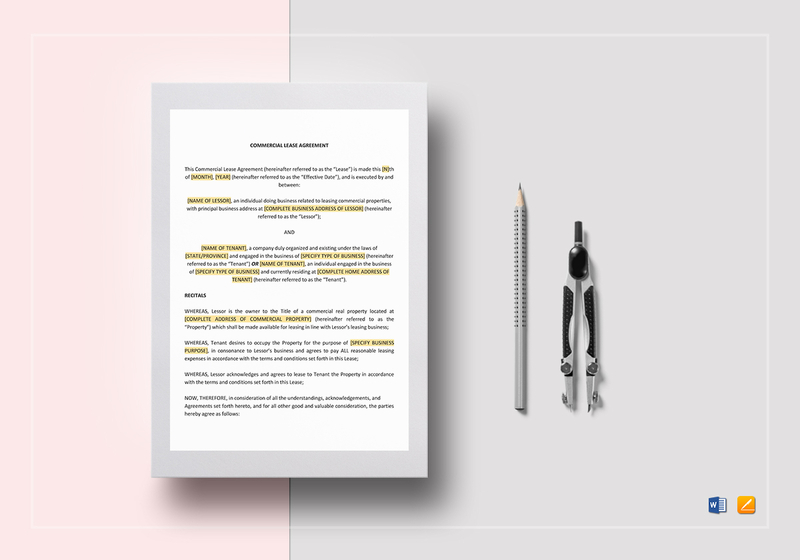 Create a professional quality lease agreement even without legal help with this Commercial Lease Agreement Template available for download anytime and anywhere. 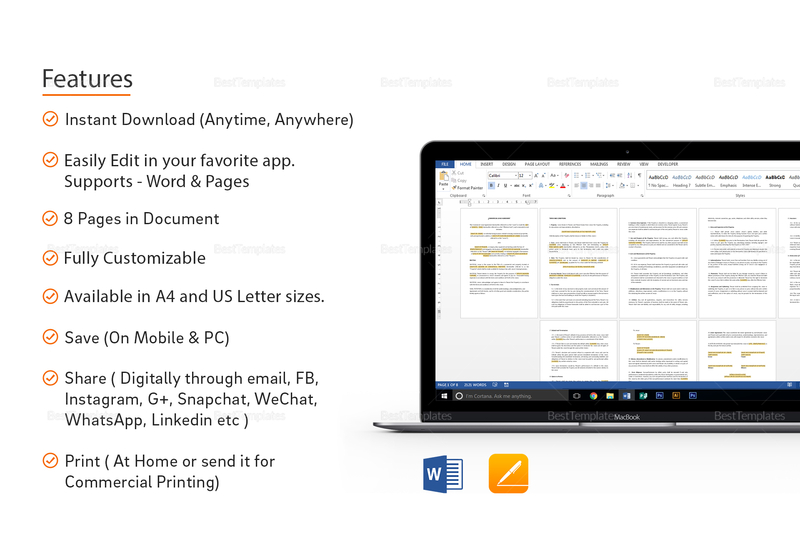 Get this easily editable 8-page agreement with standard business fonts in A4 and US letter sizes. Edit using any chosen software program that supports MS Word or Pages file formats. 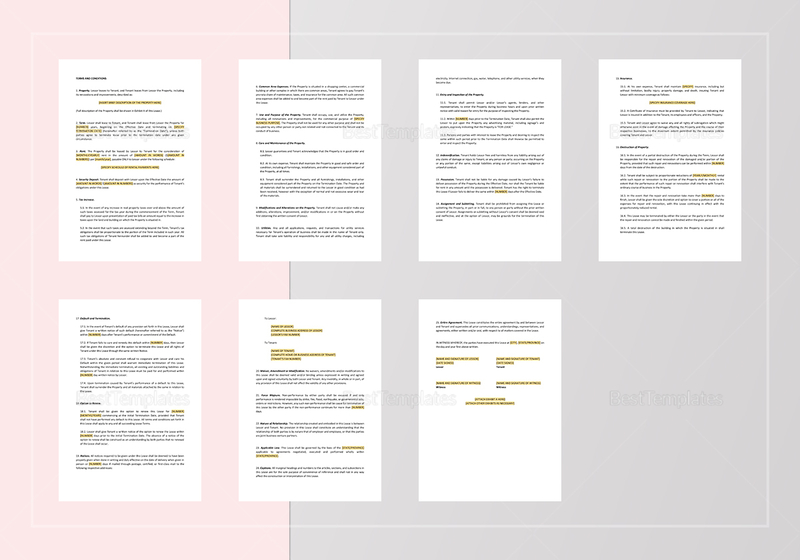 Put your information to replace the yellow highlighted sections and you are done.